Data is the backbone of improving immunization supply chains around the world, and organizations are increasingly dedicated to making data available, visible, and usable at all levels of the immunization supply chain. When decision makers are equipped to understand and improve the many complex, interrelated pieces of their supply chains, they are better able to ensure that essential vaccines reach every last child. Nexleaf and OpenLMIS are two examples of organizations focused on providing the tools needed to capture, analyze, and act on data. Nexleaf is an organization with expertise in remote temperature monitoring and cold chain data analytics. Through a remote temperature monitoring (RTM) solution, countries can monitor the status of cold chain equipment. 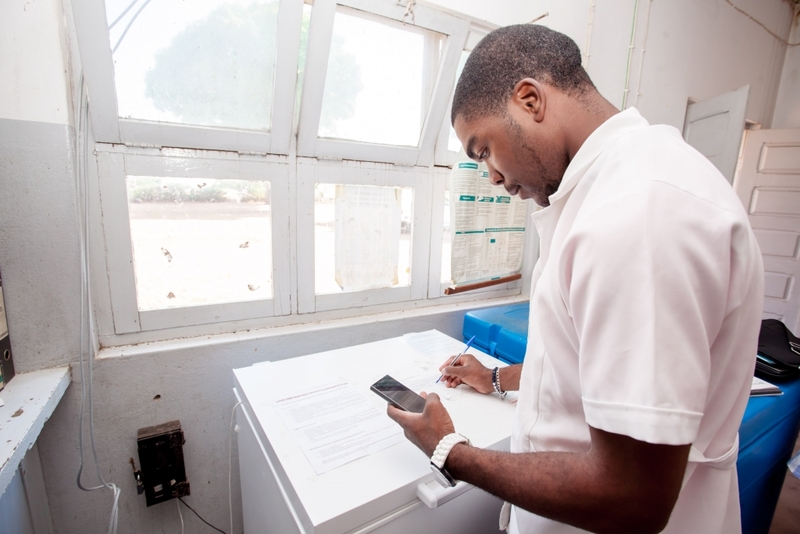 An RTM system monitors and uploads data on equipment temperature and power availability, and it notifies health workers when refrigerators go outside of the correct temperature range. OpenLMIS is open source logistics management information software that manages commodity data to optimize supply chain performance. Using OpenLMIS, program managers and health workers can order products, track their inventory, generate reports, manage their cold chains, and more. Both Nexleaf and OpenLMIS work in the global immunization space to provide essential insight into how efficiently and effectively a supply chain is running. During the OpenLMIS Vaccine Module Stakeholder Workshop held in Copenhagen in 2017, the OpenLMIS Community identified a set of use cases for managing cold chain data that could only be met by utilizing automated data and analytics from RTM systems. OpenLMIS is bringing in Nexleaf’s expertise on cold chain data and analytics to develop the open interfaces and workflows to respond to these uses cases. This work will allow anyone adopting OpenLMIS and utilizing any RTM system to have an informed view of the cold chain status alongside their core vaccine stock and delivery data. The presence of multiple data management systems in a supply chain has the potential to add complexity to already-overburdened health workers. These health workers throughout the supply chain are responsible not only for dispensing medicine and seeing patients, but are also often called upon to order vaccines, track usage, enter data, develop and submit reports, fix problematic cold chain equipment, and any number of other tasks. Integrating data from these systems is one way to potentially avoid duplicative tasks for health workers. Integrating data systems can reduce data entry, improve data quality and usability, and accelerate insight generation. Combining datasets from different sources provides new opportunities for analysis and insight into the supply chain and streamlines processes for health workers and decision-makers alike. Why open interfaces are crucial. The interfaces developed by OpenLMIS and Nexleaf are open and standards based. This means that any provider of RTM hardware or data analysis systems will be able to integrate with OpenLMIS using the interfaces being developed by this project. This work is designed to benefit all manufacturers and providers of RTM hardware and software systems. Over the last year, Nexleaf and OpenLMIS have worked together to integrate the data from these two systems. While there are ongoing country-specific integrations of OpenLMIS and Nexleaf’s RTM dashboard in Tanzania through the Vaccine Information Management System (VIMS), and in Mozambique through the local OpenLMIS instance, SELV, the OpenLMIS / Nexleaf integration is the first time remote temperature monitoring data will be directly available within the core OpenLMIS platform. A nurse receives a temperature alert on his cell phone. Photo credit: Nexleaf Analytics. When the RTM system detects a non-functional refrigerator at a vaccine delivery point, it automatically flags that the equipment, within the OpenLMIS system, indicating that it needs attention. This allows supervisors and warehouse managers who are deciding on how much stock to send to a delivery point to see whether the refrigerator at that facility is functioning, and decide whether – or not – to send product. The integrated systems can notify appropriate stakeholders about immediate outages in cold chain equipment, allowing for rapid detection and resolution of any issues. With OpenLMIS, logisticians can account for cold chain outages when planning to resupply stock, as well as assessing the state of the overall cold chain equipment functionality. This integration is the first step in a larger effort by both organizations to lead the iteration on the identified use cases for integration of cold chain monitoring data alongside immunization supply chain data. The OpenLMIS/Nexleaf integration leverages Fast Healthcare Interoperability Resource (FHIR) – a global best practice standard in exchanging information on facilities and devices. By instituting this standard, both the RTM dashboard and OpenLMIS speak the same “language,” describing important pieces of data in the same way in order to reduce barriers to information sharing. In other words, instead of requiring custom validation and translation between the systems, they are designed for compatibility from the beginning. This saves time and resources, as well as reducing the human resources required to maintain the integration. Using this standard also creates opportunities for integration with other systems that follow the FHIR standard in the future. As data collection and applied analysis become more comprehensive, and as health information systems proliferate, it is increasingly important to ensure that data itself does not become fragmented. 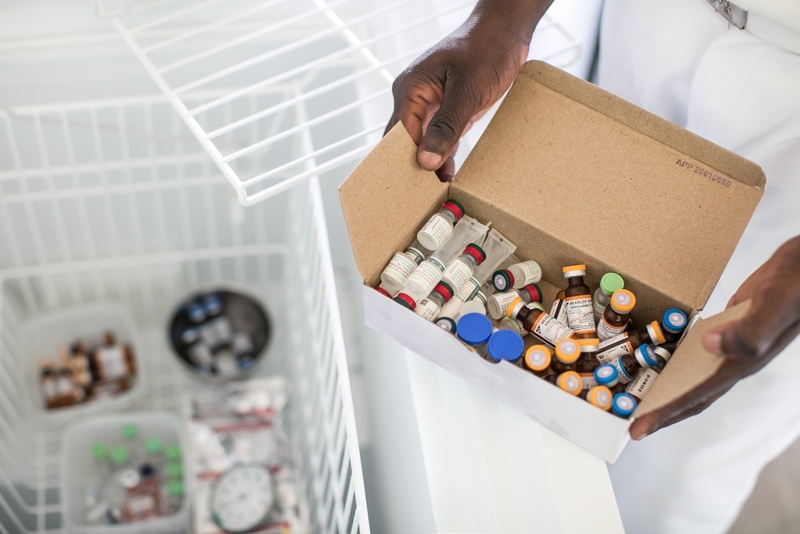 Knowing the status of cold chain equipment is vital to managing immunization supply chains. When this data is integrated with logistics data, supply chain managers are much better equipped to make informed decisions and do their jobs. Combining datasets also reduces the data capture burden on health workers, allowing them to focus on the most important job: providing quality health care to communities. The OpenLMIS Initiative’s mission is to make powerful LMIS software available in low-resource environments – providing high-quality logistics management to improve health commodity distribution in low- and middle-income countries. OpenLMIS increases data visibility, helping supply chain managers identify and respond to commodity needs, particularly at health facilities where lack of data significantly impacts the availability of key medicines and vaccines.